So you’ve grinded out a few one way links, run out of reciprocal link partners, and found yourself still outside the first position. What’s left? You’ve updated the structure of the website and optimized META information, internal links, etc. and you have no place else to go. It’s time to start buying your links. Now, I realize that Google, as well as others, frown on paid links and consider them ‘illegitimate’, and if you wear the whitest of white hats, you probably won’t consider purchasing your links; however, there is an often overlooked solution: donations. A donation is NOT (technically) a paid link, it is a link resulting from a generous contribution to a service or cause. 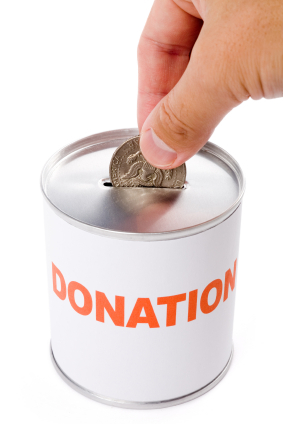 Some may argue that donating money just to get a link is selfish, not generous. Maybe so, but in the end, no matter how you look at it, you’re still donating to a good cause. I ran a 5k race last weekend for a very good cause and, for my entry fee, I received a t-shirt depicting the names of major donars on the back. When I looked at those names I did not think, “those selfish bastards just wanted their name listed on a t-shirt,” I thought, “that’s very generous of them to contribute.” And that’s what people will think when they see your link. It’s understood that you receive something from a contribution, whether it’s a link, a sponsor logo, or just self-gratification. Try searching for the phrase ‘donations’, ‘donors’, or ‘donate’ in Google and see what you come up with.y.